Michael Cassidy, author and founder of African Enterprise ministry, will share his insights on the South African church at Whitworth University during his lecture, "The Role of the Church in Healing a Nation: Lessons from South Africa." The lecture will take place Oct. 1 at 7 p.m. at the Robinson Teaching Theatre in Weyerhaeuser Hall at Whitworth University. Admission is free. For more information, call (509) 777-4739. Cassidy is recognized for his evangelical reconciliation ministry throughout sub-Saharan Africa. 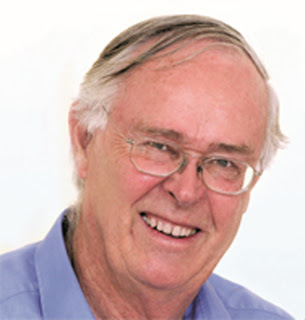 He has written many books, including A Witness For Ever – The Dawning of Democracy in South Africa, a devotional called Window on the Word, and, most recently, two books on Christian theology and ethics: Getting to the Heart of Things and Back to Basics. He founded African Enterprise in 1962. Cassidy has met with Whitworth students who have visited South Africa during previous January Term trips. Jackson says he is glad that this lecture will allow the entire Whitworth campus and the Spokane community to benefit from Cassidy’s insights into the role of the South African church, and discover what those lessons imply for U.S. Christians. “Because Mr. Cassidy’s organization is involved throughout sub-Saharan Africa, he’s extraordinarily well-informed too on the role of the church in most of the continent,” Jackson adds. Kathy Fechter, academic program assistant for communication studies, Whitworth University, (509) 777-4739 or kfecther@whitworth.edu.